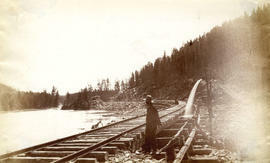 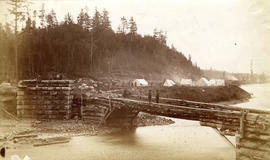 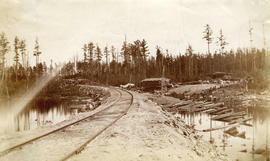 Item is a photograph showing a sink hole beside railway tracks. 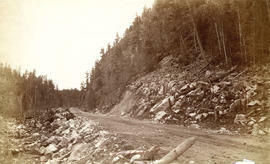 Possibly near Pogamasing Creek, in the Sudbury, Ontario area. 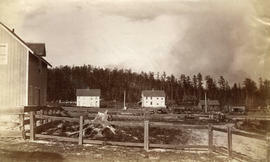 Item is a photograph showing dwellings in the West End of Sudbury, Ontario.